For almost 3-4 months, we haven’t seen any powerful flagship device released from Sony Ericsson, but that’s all about to change once the Nozomi hits the market. The Sony Ericsson Nozomi, which is due next year, will be featuring Android 4.0 Ice Cream Sandwich, a 1.5 GHz processor, 4.3-inch 1280×720 HD touchscreen, 12 MP camera with 1080p full HD video capture, an HDMI port, 1GB of RAM, and 16 or 32 GB of integrated storage. We recently saw the leaked shot of the Nozomi, but now thanks to a few shots from GSM-Arena we get a closer and more personal look at the device. 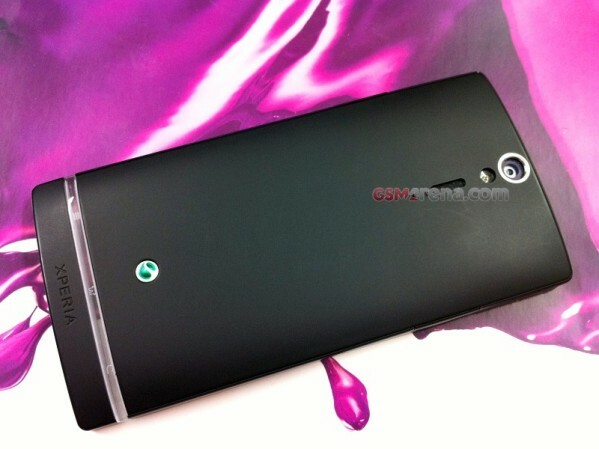 Along with the updated specs and photos, the rumored Xperia Arc HD moniker still appears to be a possibility considering no official name was associated with the device. It will also be interesting to see if they decide to drop the “Ericsson” branding from the device, given the recent buy-out. We’re hoping this device will see an official announcement at CES in Janurary, or possibly MWC in February. Either way, you can expect an announcement within the next few months and we’ll be sure to keep you up-to-date. Anyone looking forward to this upcoming super-phone from SE? Tell us about it in the comment box below.